Sound files of our works are available on the website. You can also contact us by forwarding your contact details and questions via the contact form on our website. For full catalogue information and availability please go to www.alfred.com and search Loreta Fin or Wilfin Music. Your local Music Store will be able to assist you. 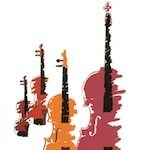 Formed in 1994 and operating from small premises near Birmingham, Alfred Music UK worked with local dealers and teachers to develop sales and marketing platforms for the promotion of Alfred Music products throughout the UK. Established in 1992, Alfred Music Singapore has the rare distinction of being the first U.S. print music publisher to set up an office in South East Asia! It is truly a prestigious honor for the Republic of Singapore to host the Asian office of the world’s largest music education publisher. 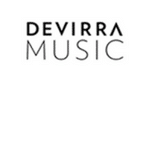 Devirra Group represent the world’s best music publishers and are proud to distribute hundreds of titles through our state of the art distribution centre in Sydney.